I completed the general public schooling of elementary and high school. I went to College and then finished my degree at a University. I took French Horn lessons for 8 years. I spent 18 months of intense emotional, educational, spiritual, societal, and conversational boot camp; what we LDS members like to call a "mission." I've learned a couple couple of languages. I feel like I've done a lot of learning so far in my life. Memorizing was so difficult for me, before. The times tables were the bain of my public schooling existence. Every math class, it seems, I needed to know those times tables, and usually the ones I hadn't managed to memorize- the 6's, 7's, and 8's, yuk. I still don't know them all. I diligently tried to memorize scriptures in Seminary, but inevitably the scripture references would escape me when I needed them. Names. I can always count on NOT being able to remember people's names. chuckles. Dates. I love history! Yet I am terrible at remembering dates! Only recently have I been able to put historical time-lines in order in my mind, especially when considering multiple civilizations. Want to know what I'm getting at? It is this weirdly twisted and backwards timeline of Marcy's life: I'm done with the generalized public schooling expectations, and yet, right now, I feel more capable of learning than I ever have! In any case, I'm loving that learning still gets me so excited! I guess as a kid I figured that schooling-type learning ended with the visual ending of going to school. And I don't think I thought I'd be excited to keep learning and memorizing things after I finished that. Glad to know that I get pumped up about learning still! But really, the most remarkable thing to me is that I feel so much more capable of learning, now. I feel like this book is mainly a description of the author's stages of life up to age 35, but I found a few that definitely apply to me, and made me laugh so hard from the perfectness of their descriptions. "I didn't want to hire someone to help me put my air-conditioner in my window so I did it myself. I ended up balancing it on my leg, had a huge bruise the size of North America, and also came pretty close to killing a few people by dropping it onto the sidewalk below." I thought I'd always be Ms. Independence. Then I fell for Mr. Right and found that 2 is better than one. I thought I'd always be The Worker Bee. But then I couldn't work for 6 months and I saw the light, and now I'm really enjoying having a couple days a week off work. Coming out of that 6 months of not being able to work, I turned into the Crisis Chick. My blog has been the recipient of most of that period's musings. You research home equity loans, tax brackets, and life insurance on the Internet. Ten minutes later you play a game on the same computer (or look up and put on hold at the library all the "Little House on the Prairie" books). There is a constant wave of marriages and reunions. A Wirl is caught between wanting to stay in her twenties forever and being excited about the future. She feels as if life is forcing her to grow up and she can't stop it. She's too young to be old but too old to be young, so that leaves her right in the middle, in a state of Wirlhood. She is still a kid with questions, issues, fears, and a need for other people in her life. She can't figure out what it really means to act her age. Why does the thought of having a child flip me out? Why does the though of NOT having a child flip me out? Benefits of Wirlhood: She has the Perspective to laugh at her particularities of youth. She has the Versitility to get away with playing "young" or "old" in all situations. I was in a seminar a week ago and was challenged to write out my dreams. They crazy, the impossible, the simple, all of them. Well I don't know if I'll ever get all of them out of the swirling river of my mind, but here is a good list. Live a crazy lov'in life with the man of my dreams. Be more in love in 25 years than we are now. :D That'll be year 2037. I'll be 50. Raise happy kids, and have fun with them! Have princess parties with little girls. Run a MDT (music, dance, theatre) academy for children or teens. Play the French Horn with the Orchestra On Temple Square. Backpack from Europe to China. Visit Sister Wu in China. Be a missionary in China. Live in China for a while, and become proficient in Chinese. Live in Europe again, in France/Switzerland or Belgium. (French-speaking). Visit Venice and tour more ruins in Rome. Take a vacation where all we do is play and relax at the beach. Somewhere beautiful. Learn to sail with my man and then do it! Get my own red, convertible, VW bug. Hobby-farm: chickens, goats, maybe a cow. History! The missing history of the Middle East in western curriculum. Change my nature. (Believe me, this is one of those impossibly crazy dreams that I strive to accomplish. I want to be calm and slow to anger, kind, generous and gentle by nature.) Well I already think I am, by nature, I just need to train those to be my first reactions, *chuckles*. Have a whole new list of dreams and plans when retirement time comes. • Moses 1:39—God’s plan is to make immortality and eternal life possible for each of us. • Isaiah 53:5–7—The Messiah will atone for our sins. • Matthew 26:36–46—Jesus Christ suffers in Gethsemane. • Luke 22:44 (or D&C 19:18)—Jesus Christ sweat great drops of blood. • Psalm 22:16, 18—The wicked will pierce the hands and feet of the Savior. They will cast lots for his clothing. • Luke 23:33–34, 46—Jesus Christ is crucified. • Matthew 27:57–66—Jesus Christ is buried in Joseph of Arimathea’s tomb. • Isaiah 25:8—The Savior will overcome death. • Hosea 13:14—The Savior will redeem all of us from the grave. 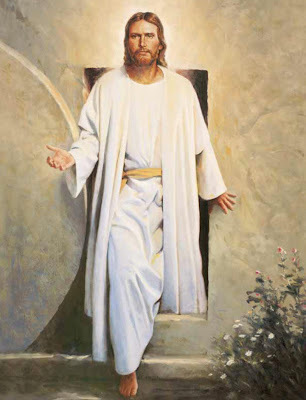 • Matthew 28:1–10—Jesus Christ is resurrected. Christ the Lord is Risen... Hallelujah!